The Digital Signature Kit for Laserfiche allows users to select documents and sign using a digital signature pad. The signature may be placed on any page of the document and sized appropriately to fit in any space. A date/time stamp may also be applied. All signatures are logged in the Audit Trail and a second signed version is automatically linked to the original unsigned version. Optionally the application may be configured to overwrite the unsigned document. Making use of the digital signature kit in conjunction with Laserfiche allows managers to be more efficient. By applying a digital signature, documents are processed faster and authentication is assured by Windows AD authentication. Digital Signature Kit by Cities Digital gives the ability to instantly sign and approve documents. Connect the digital signature pad to your computer and you’re ready to begin signing documents inside Laserfiche. Digital Signature Kit provides the ability to add a signature to any area of the document in Laserfiche, and includes a date/time stamp. Signature history is recorded through Audit Trail, and the unsigned version of a document is automatically linked to the newly signed version. Licensing is workstation based. The Digital Signature Kit comes with digital signature pad hardware. 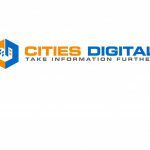 Cities Digital is a document management solutions provider specializing in creative solutions using Laserfiche. Cities Digital has been partnered with Laserfiche since 2002. The solutions that Cities Digital has built have benefited hundreds of Laserfiche users nationally. The Cities Digital suite of products is designed around expanding the functionality of ECM through smarter integration.